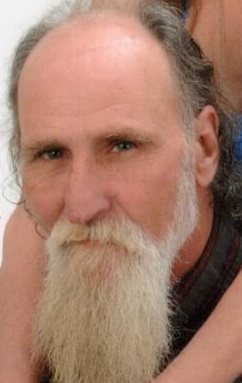 Randy Lee Cousins, 59, of Cowansville, died on Wednesday, Sept. 12, 2018, at his residence. He was born on June 19, 1959, in Kittanning to the late Charles L. & Goldie A. (Ion) Cousins. He was a laborer on the barges on the river and was also of the Protestant Faith. He enjoyed collecting aluminum cans, vacations in Erie, and his truck and Lincoln. Randy leaves behind to cherish his memory his love and companion of five years, Joann Cousins; son Randy Cousins of Kittanning; daughter, Laura Krismanich of Kittanning; grandchildren, Andrea, Alana, Dakota, and Colby; sisters, Nora (Robert) Croyle, Goldie Atherton, and Clara (Mark) John; brothers, Nelson Cousins and Alexander Cousins; several nieces and nephews. In addition to his parents, he was preceded in death by his son, Kenneth Cousins; brothers, John, Frank, Jess, George, and Charles Cousins; and sisters, Essie Roush, Diane McIntire, and Ida ‘Belle” Black. Family and friends will be received on Saturday from 2-4 p.m. and 7-9 p.m. in the Snyder-Crissman Funeral Home in Cowansville where there will be additional visitation on Sunday from 12:30 p.m. until time of services at 1:30 p.m. with Pastor Sue Foster officiating. Burial will follow in Croyle Cemetery. Family suggests that all memorial contributions be made to the funeral home to help offset expenses.